By Orla McCaffrey . Published on March 15, 2019. For coffee lovers, Burger King is offering a whopper of a deal: $5 a month for one small coffee a day. 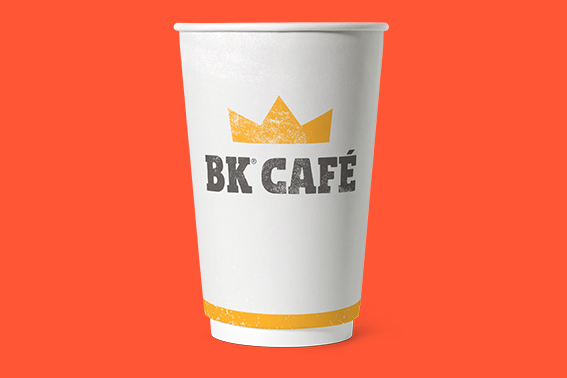 To get the deal at participating restaurants, customers will download the BK app and sign up to pay a monthly fee. It only applies to regular hot coffee, and can't be paired with a delivery order. The subscription service represents a move into the customer-loyalty space for the chain as fast-food restaurants compete for flatlining foot traffic. Visitors to quick-service restaurants increased just 1 percent in 2018, according to the NPD Group, a market research firm. Coffee chains including Starbucks and Dunkin' offer programs that reward customers with points toward free drinks. But Burger King's flat-rate model is unusual for a major brand and shows the chain's desire to generate repeat business. Mail-order subscription coffee services have gained traction in recent years, but in-store versions haven't caught on. Burger King's move is an attempt to get more people through the doors and capitalize on a 2 percent increase in coffees ordered at quick-service chains in 2018, says David Portalatin, VP, food industry advisor at NPD Group. "Any excitement or innovation a quick service chain introduces to incent more customer visits is a welcomed opportunity," he says. The $5 monthly coffee fix is the latest attempt from the Home of the Whopper to get people to download and use its app. In late 2018 it offered 1-cent Whoppers if people ordered them while in or near a McDonald's restaurant.